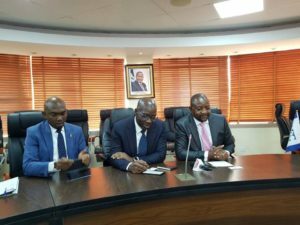 Governor of Edo State, Godwin Obaseki has committed to address thorny issues impeding growth of telecoms such as right of way (RoW), over taxation, and community resistance so to allow operators freedom to deploy ICT infrastructure and services within the confine of safety and compliance regulations in the state. Chief of Staff to the Governor, Taiwo Akerele, His Excellency Godwin Obaseki, Governor of Edo State and, Sunday Dare Executive Commissioner Stakeholder Management Nigerian Communications Commission. 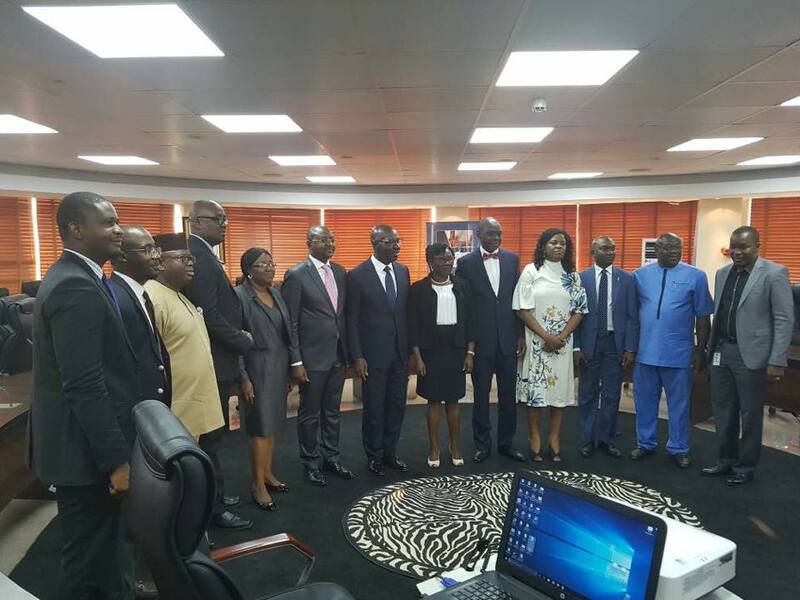 Obaseki spoke during a courtesy visit to the Nigerian Communications Commission (NCC) in Abuja stressing this was vital to fast track ICT and broadband pervasiveness in Edo State. The meeting explores how the state could collaborate with the NCC to advance service delivery by network to accelerate broadband uptake in Edo. Executive Commissioner Stakeholder Management at NCC, Mr. Sunday Dare, who represented the Executive Vice Chairman/ CEO of NCC, Prof. Umar Danbatta, assured the governor of the regulator’s support. RoW, over tatxation and a mix of other challenges have largely impeded telecom development in most of Nigeria’s 36 federated states forcing network owners to slow down in rolling out broadband and ICTs infrastructures across country. Although, the set price for RoW by the National Economic Council (NEC) is N145 per meter, states largely collect about N1,450 from operators while some even charge up to N6000. This has impacted negatively on last mile services. While the country’s shores have terabytes of bandwidth, high cost of deploying fibre optic cables for last mile distribution within states in the country has stalled operator’s rollout plans.